Find the Aspen Hat pattern HERE! 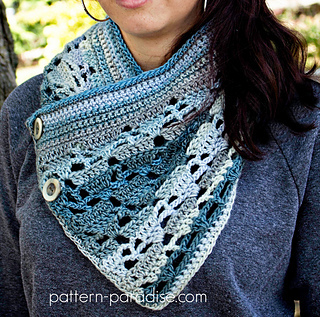 A nice lacy cowl is the perfect fashion accessory -- just a little added warmth around the neck, without too much bulk. 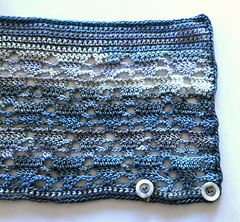 I wanted a design that wasn’t totally solid but still provided substantial warmth and this stitch pattern does just that. I added buttons for easy on / off and I think they enhance the look too. Wear it inside your coat or over it for a bold fashion statement.